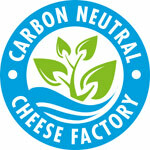 Fairview has recently been awarded as the title of “first carbon-neutral cheesery on the African continent” by the Carbon Protocol of South Africa. This quest by the high-profile speciality cheese producer started in September 2009. According to the company, a comprehensive carbon audit revealed that the cheesery had an annual footprint of 1,743t/CO2e, associated with the production of its products. Armed with this knowledge Fairview embarked on an emissions reduction project to offset this organisational footprint, via both emission avoidance and sequestration. 145 trees were planted in the Drakenstein municipality: on Fairview’s farm, at the Mbekweni and Mboniselo Primary Schools, Ihlumelo Intermediate School, Rusthof old age home and a public park to actively reduce the amount of carbon dioxide (and other harmful green house gases or GHGs) in the environment. A total of 7 812 modern, efficient compact fluorescent lamps (CFL light bulbs) were installed free of charge, replacing older inefficient, incandescent lamps (ICL light bulbs) in the workers houses at the Fairview farm, as well as in various areas across KZN and Gauteng – including low-income and subsidised housing areas, and special needs centres such as old age homes, orphanages and shelters. The lamp switch contributed to a 60% reduction in the electricity used for lighting across the buildings where the lamps were installed, and this will lead to a financial savings of over R2.6 million in the cost of electricity to these residents over the lifetime of the technology (five years). The cheesery also installed solar panels which reduce its energy usage by a third, and an economiser was purchased to enable the plant to use steam to heat the water in the boiler, reducing boiler fuel consumption by approximately 130 lt per day. Charles Back, owner of Fairview, says they will continue working towards becoming a greener, more environmentally-aware business: “The company will strive towards innovation and education in the interest of protecting the environment for future generations. The Fairview Vineyard Cheesery is based in Paarl in the Western Cape and produces a range of over 20 cow and goat milk artisanal cheeses. Fairview products are sold both in the catering market and major retailers in South Africa. Fairview’s range of cheeses has been consistently awarded at local and international competitions. Fairview estate is a third generation family-owned farm with a winemaking heritage dating back to 1693. Located on the slopes of Paarl Mountain in the Western Cape, one of the country’s top wine producing regions, the farm has been bottling wine under its own label since 1974 and has become a respected and awarded producer. Under the guidance of Charles Back, Fairview’s innovative and award-winning wines are internationally-recognised and appreciated.